The PROBA2 PI-team welcomes research proposals for the seventh round of its Guest Investigator program for research based on SWAP and LYRA data analysis by scientists outside the SWAP and LYRA PI-teams. We encourage in particular early-career post-docs and PhD students to apply, although more senior guest investigators' proposals are also welcome. In this round we anticipate funding for around six guest investigators or teams who will visit the PROBA2 Science Center at the Royal Observatory of Belgium, in Brussels, between April 2016 and December 2016. Solar irradiance studies and the influence on the Earth. With its four channels spread over the 1-220 nm range, LYRA observed the solar emissions that have a strong influence on the Earth ionosphere. We are interested in proposals investigating those impacts over the short and mid terms. 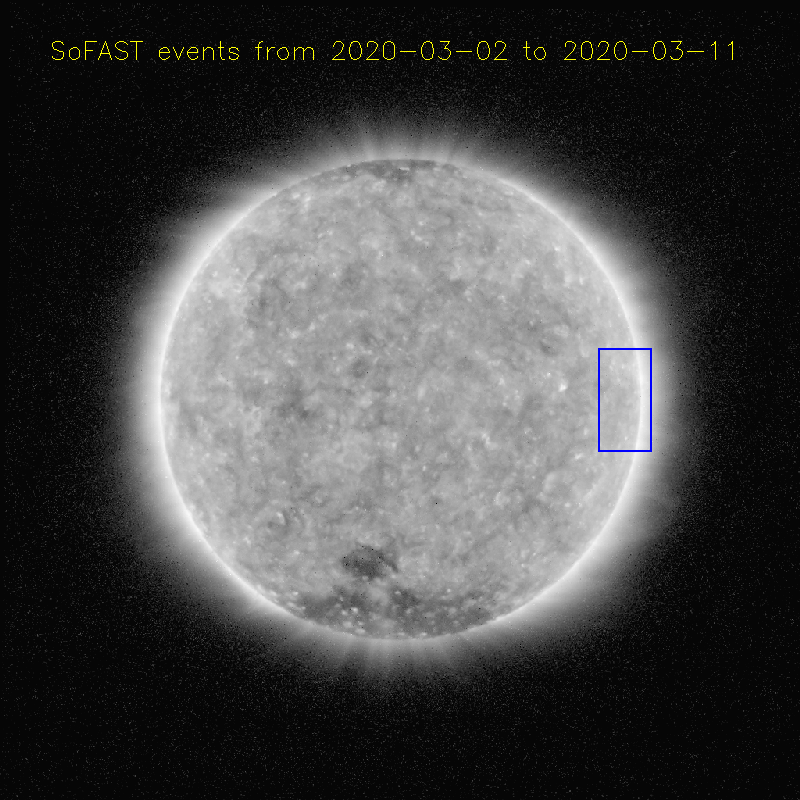 In particular, the instrument observes the extinction of the solar signal by the Earth atmosphere every orbit during its eclipse season (which lasts from October till March on average). Flares, Eruptions and their related phenomena. SWAP provides continual observations in a bandpass with a peak at 17.4nm and a relatively large field of view. 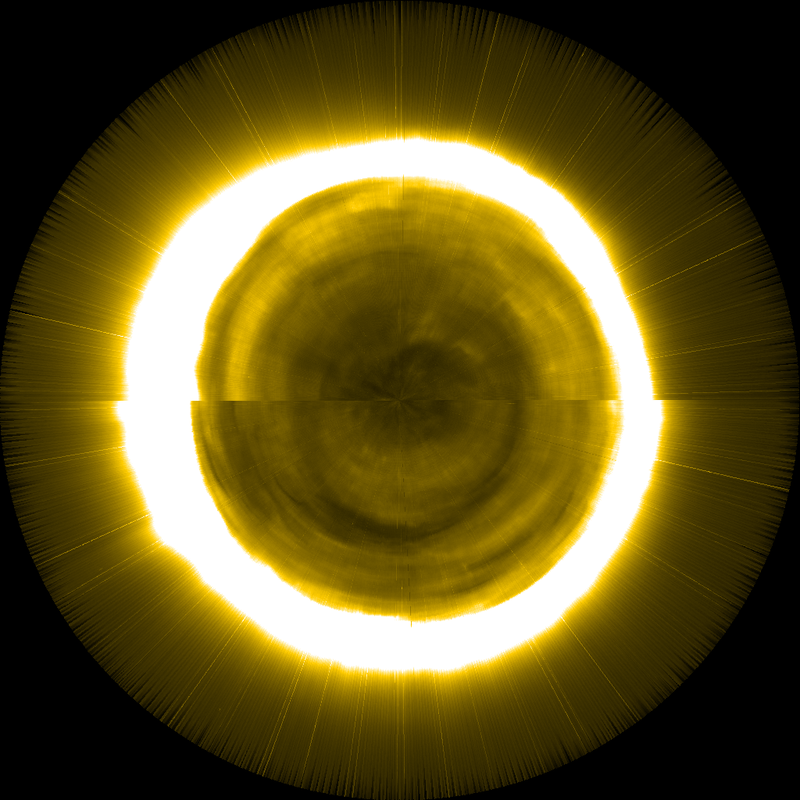 SWAP observations offer a unique view of eruptive phenomena, including post-flare loops, erupting prominences, large-scale propagating waves in the corona, coronal dimmings, and the initiation and acceleration of eruptions. We encourage proposals that would explore the mechanism responsible for the onset of eruptions and flares, or any of their associated phenomena. 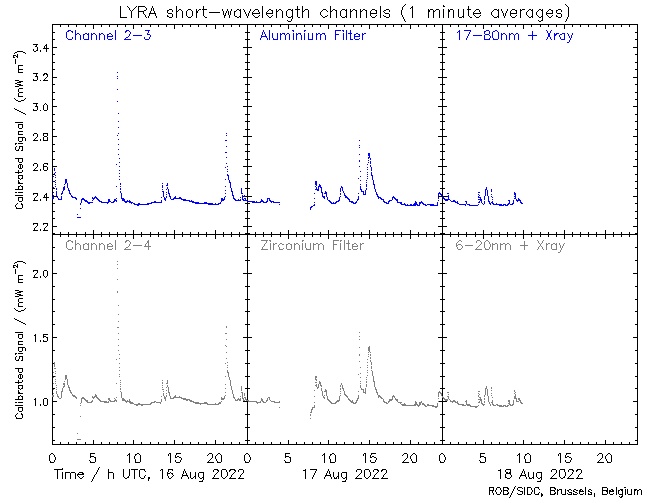 LYRA produces continuous high-cadence observations of solar irradiance in four broad bandpasses in the EUV/UV range. 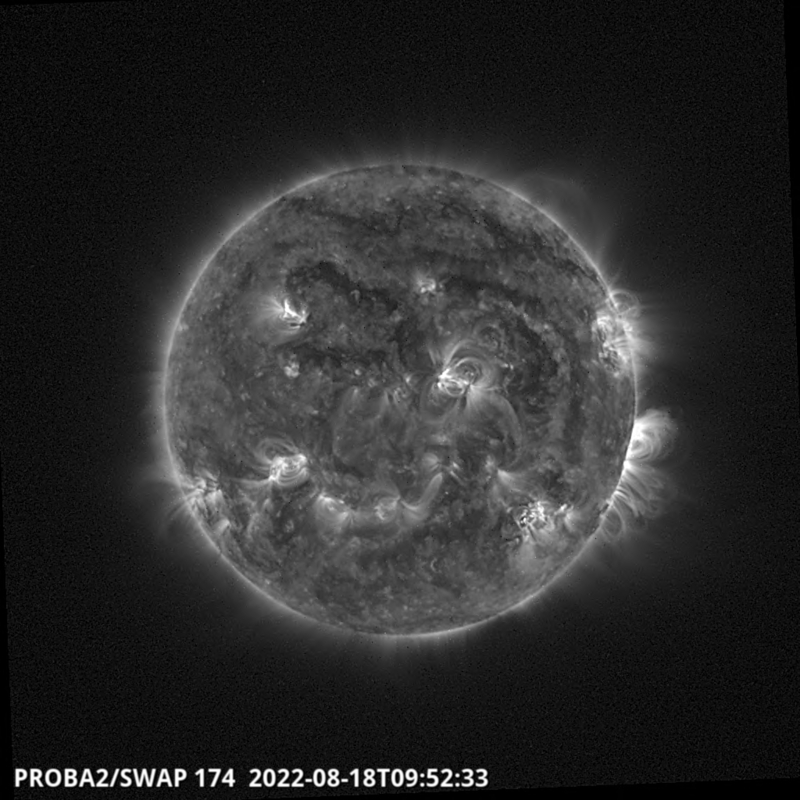 This provides an opportunity to measure the short-term variability of solar irradiance with an unprecedented time resolution, and is tailored for anayzing the details of transient events such as flares. Studies of the middle corona. SWAPs unique large field-of-view provides an opportunity to study large-scale magnetic structures out to distances of ~1 solar radii. 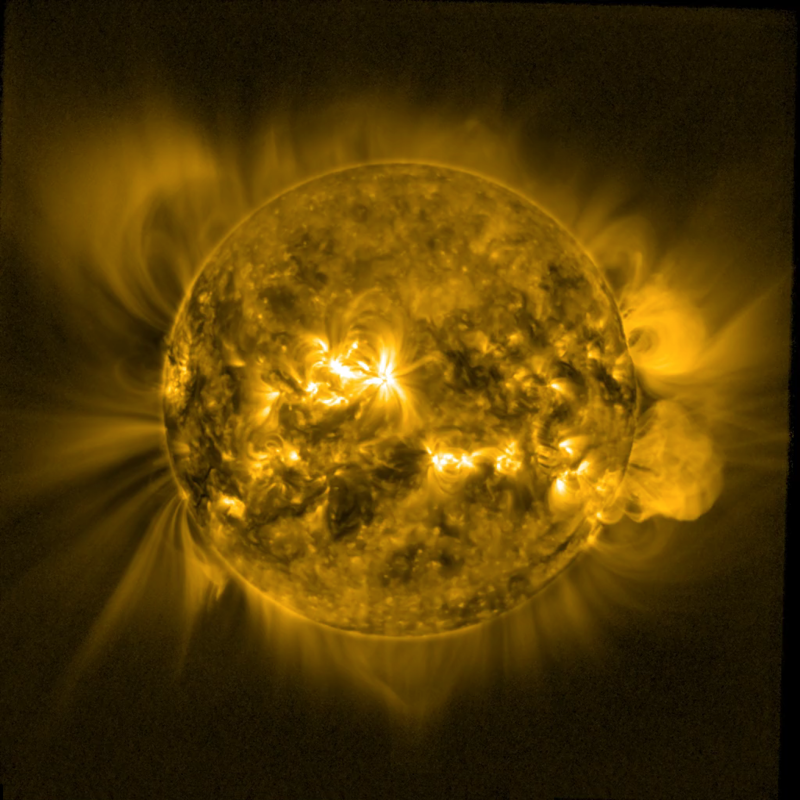 Using image-processing techniques it's possible to explore structures in the ‘middle’ region of the corona; in particular coronal fans and large-scale loops, and the boundary between open and closed magnetic fields. Since solar wind outflow occurs in open field regions, understanding their properties, and comparing them to closed field regions, is key to understanding the solar wind itself. - in case the candidate guest investigator is a PhD-student, a recommendation letter from the thesis supervisor is also requested.